Since the new Google Calendar app arrived, you've given us lots of great feedback that has guided our updates. Starting today, you'll see improvements to Google Calendar on iPhone that follow the recent improvements to the Android app. 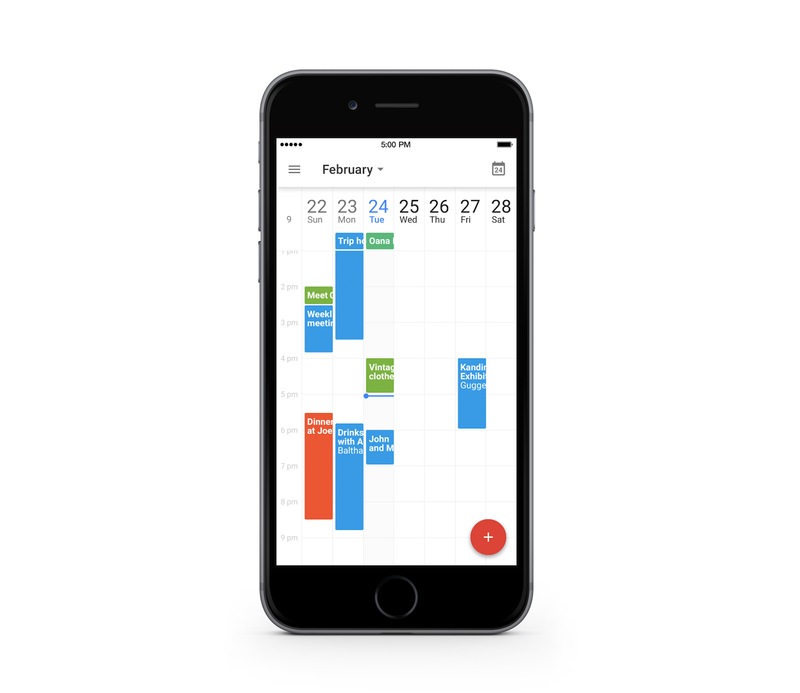 To start, you can now see more events at a glance with 7-day week view and customize your calendar with week numbers on iPhone. 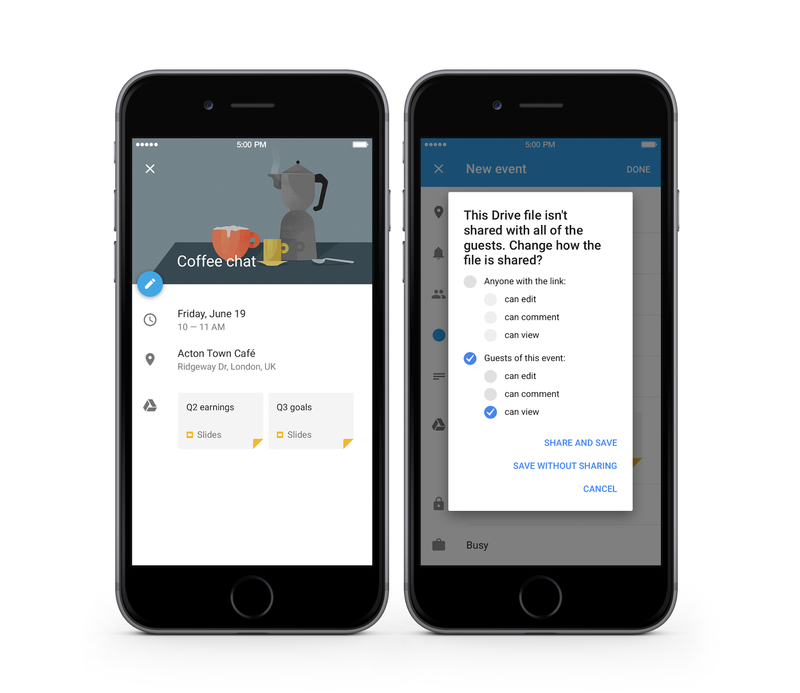 You can now also add Google Drive files, like Docs and Sheets or pictures and PDFs, directly to events on your iPhone and Google Calendar on the web, just like you can on Android. Drive will even check if everyone has access to the files and if not, ask you if you'd like to share with them. Sometimes, getting notified of an upcoming event isn’t enough—you might need to contact other attendees, or figure out the best way to get there. 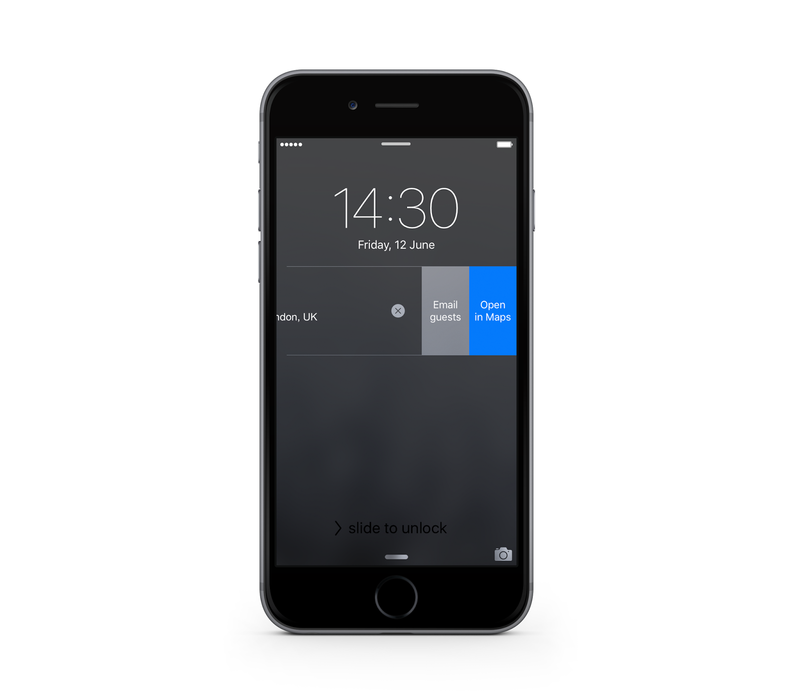 With interactive notifications on the iPhone, you can now email guests and view maps with one tap. We have a lot more improvements based on your feedback coming, so stay tuned! P.S. If you're a developer, you can now add Drive files, including Docs, Sheets and Slides, to Google Calendar events created through the Calendar API.